Dean Downing, Russell Downing‘s older brother, started cycling from an early age grass track racing as well as on the track. Grass track racing was something that Dean kept coming back to throughout his road career, winning the national scratch title on grass four times. Downing was then selected for the British junior track team and studied construction management at university. Downing got a job in the construction industry but decided to have a crack at becoming a full-time cyclist. Downing raced in Belgium, winning several major amateur races. He returned to Britain, taking further spoils both on the track and on the road. A further spell in Belgium riding for the DFL Cyclingnews team was short-lived and Downing returned to ride in Britain to ride for Recycling.co.uk, which became Rapha-Condor Recycling in 2008. Downing spent a successful spell under John Herety at Rapha, with UCI wins at Tour of Taiwan and the An-Post Ras as well as domestically, but in 2013 was scooped by Roger Hammond, and made the move to Madison-Genesis for their inaugural season. 2014 will be Downing’s final year as a professional rider, and he is set to spend it with brother Russell at NFTO Procycling. 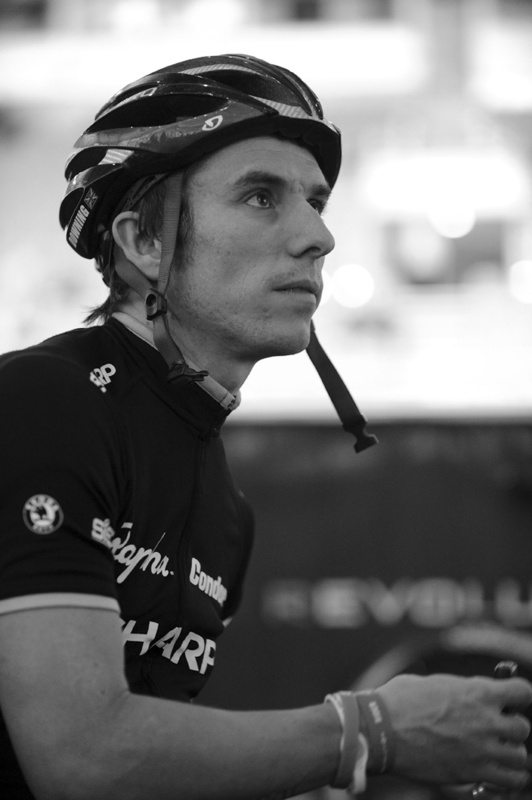 Click on the thumbnails of Dean Downing below to open a larger image in a new window.